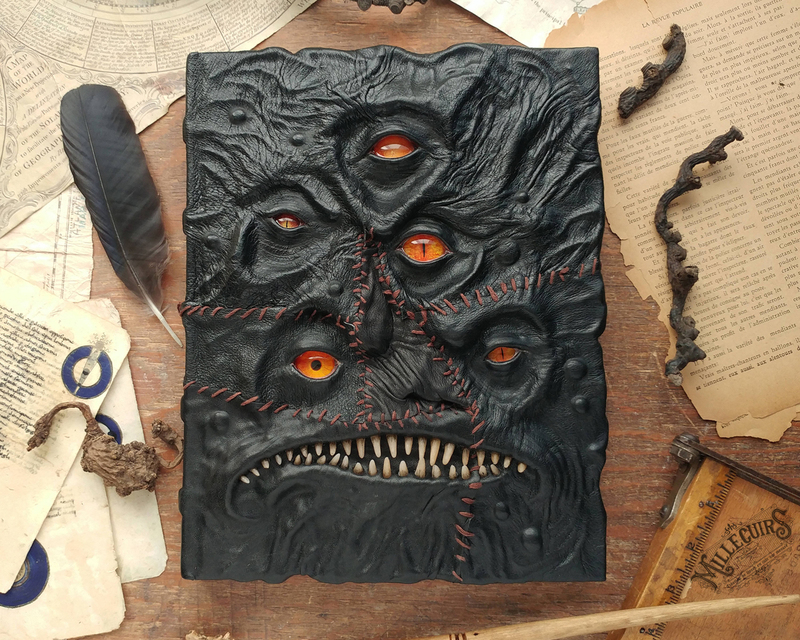 If you appreciate impeccable hand craftsmanship and an eye for monstrous detail you’ll be amazed by this Monster Book from Canadian artist, Mille Cuirs. 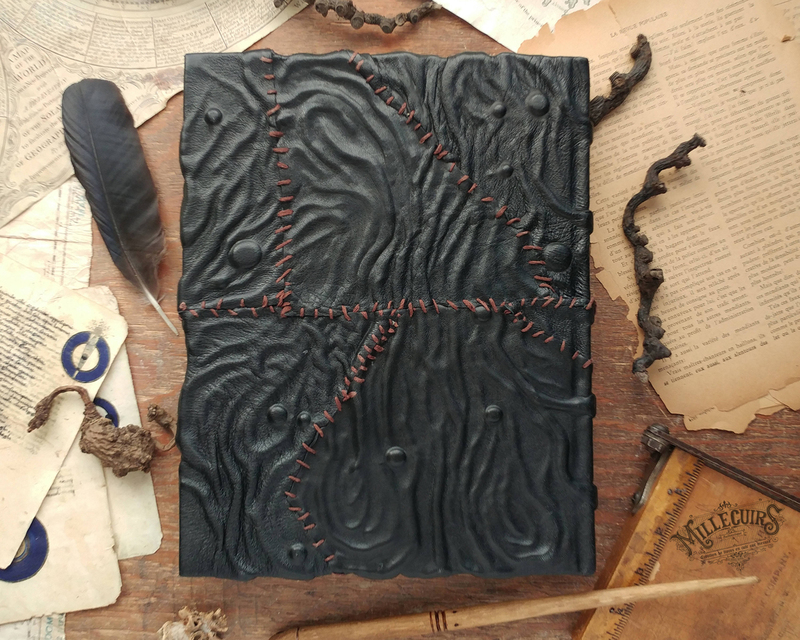 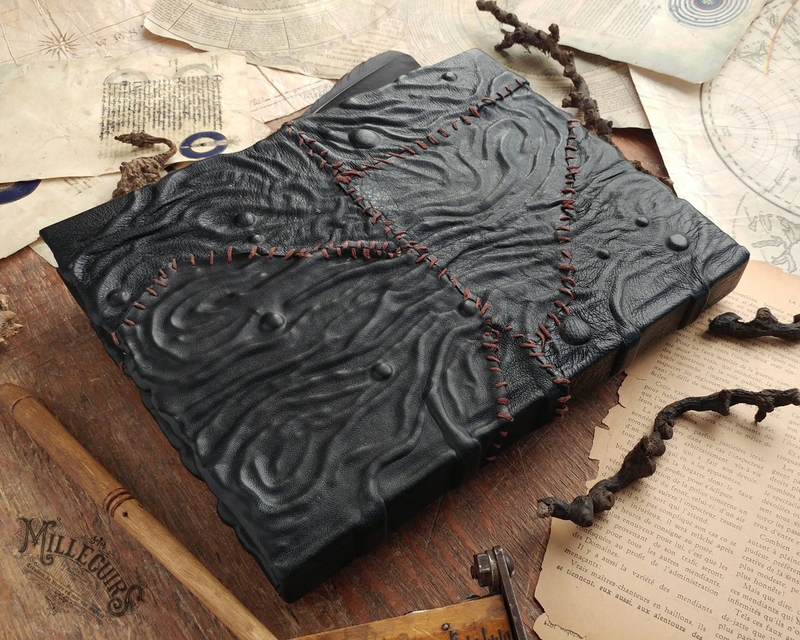 These leather grimoire blank books from Mille Cuirs are a real sight to behold and it’s hard not to be impressed with the painstaking detail which has gone into their creation. 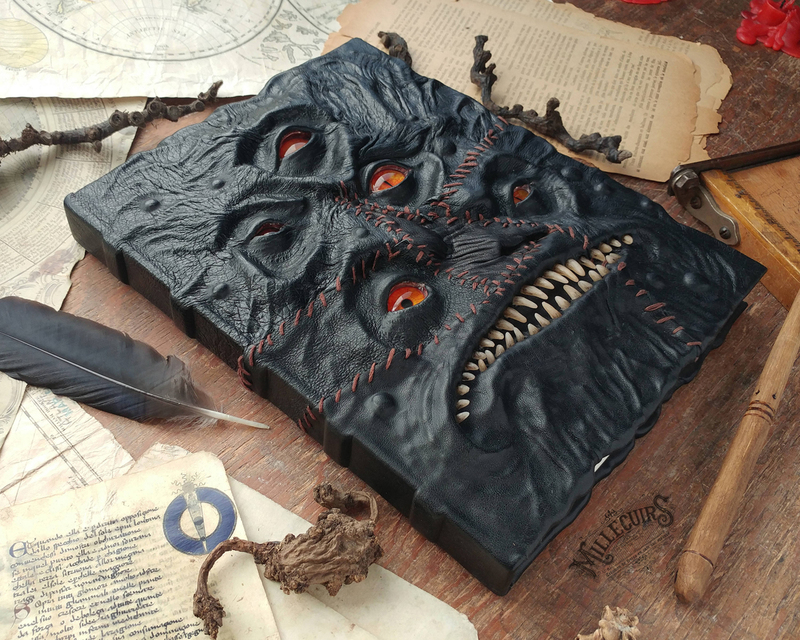 The monstrous designs are perfectly suited to the workspaces of those with a penchant for horror of those looking to document their musings in a book that looks quite unlike anything else out on the market. 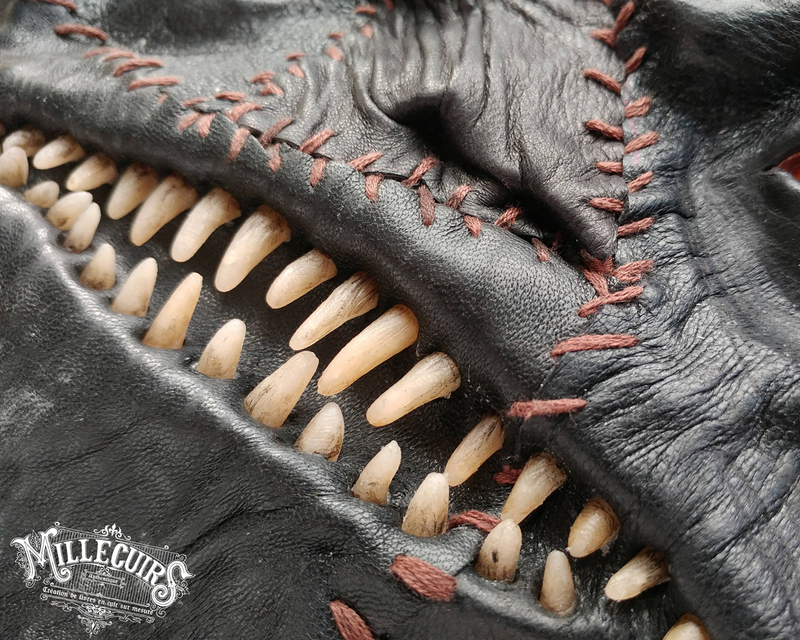 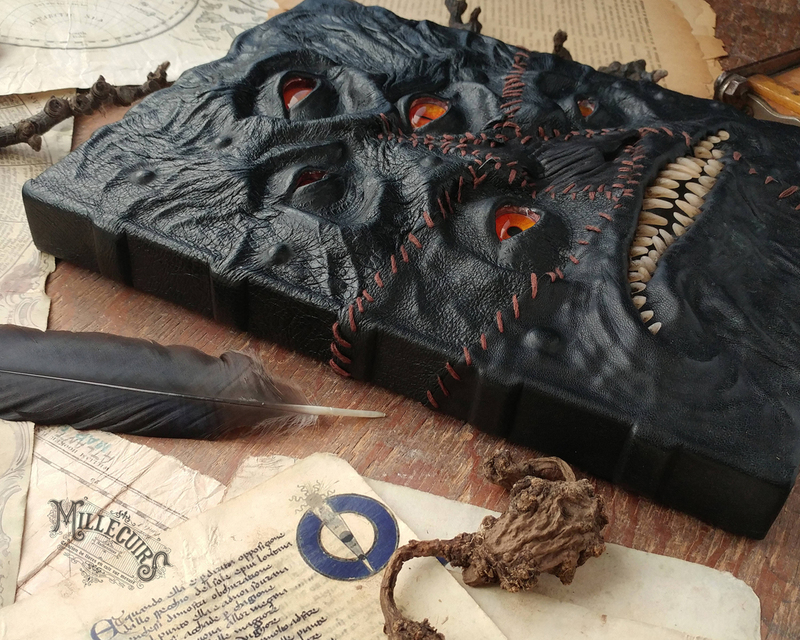 The Mille Cuirs Monster Book is a handmade item which has been put together from leather, paper, PVA glue, cardboard, glass eyes, thread and, if Cuirs is to be believed, damned souls. 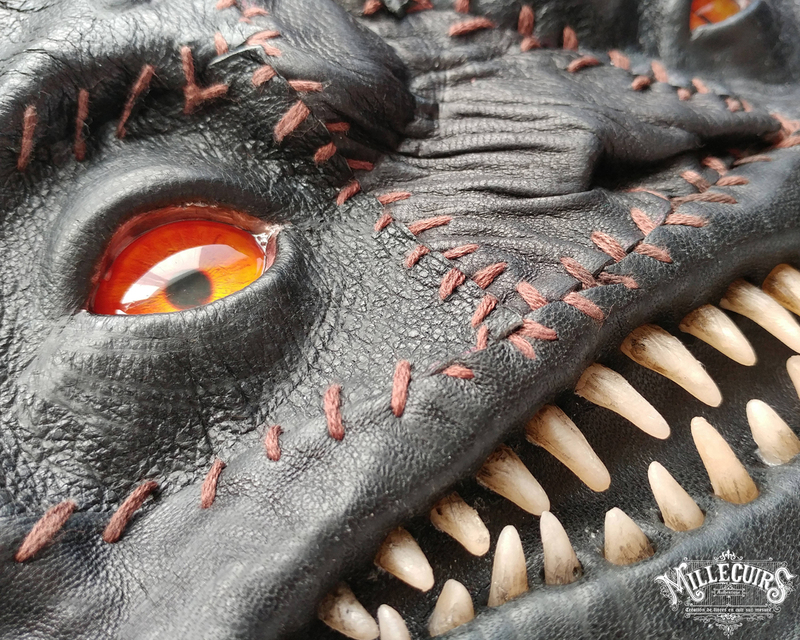 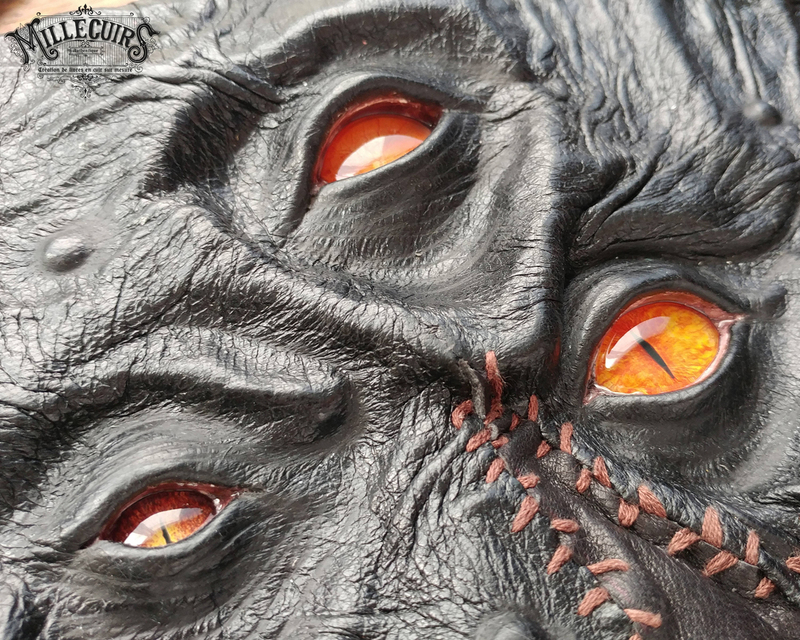 The visual impact of this spectacular creation is second to none and there are sure to be plenty of horror movie fans out there who will be able to find a spot for this top notch creation on their desks or throughout their home. 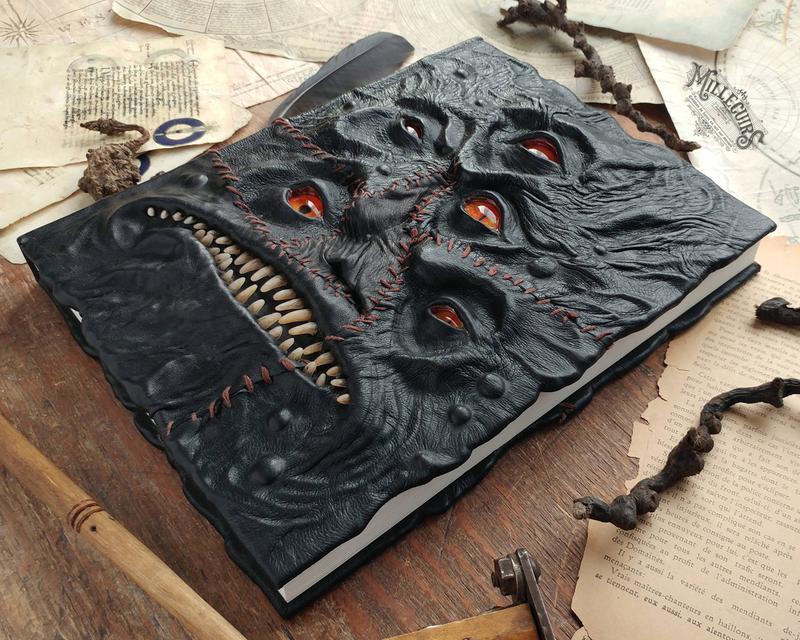 The similar book covers creates Aniko Kolesnikova but not so scary.